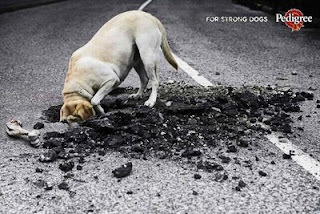 Pedigree's ad on dog foods caught my attention very recently. My pet dog Bubbly's love for Pedigree and my love for Litchies are of the same degree. Bubbly used to be so strong in his digging prowess. Click the below picture to refresh your brain about Bubbly's Amazing secret.